MEMPHIS, Tenn. - Jan. 2, 2018 - PRLog -- Betsie Brown of Blind Raccoon LLC and Sallie Bengtson of Nola Blue, Inc. are delighted to announce their new partnership. The team will expand upon the services that each organization currently provides to include music promotion services, record label services, social media marketing and artist management consultation. Blind Raccoon is the PR agency of record for Nola Blue and Nola Blue is the social media marketing guru for Blind Raccoon and its artists. Each company will continue to work independently with some clients as well as jointly with others, as appropriate. Their official inaugural joint venture is the 2018 Blind Raccoon and Nola Blue Roots & Blues Showcase taking place over three days (January 17 -19) during the International Blues Challenge (IBC) in Memphis, TN. There, musicians participating in the IBC, will have the opportunity to learn more about the partnership and range of services provided. Blind Raccoon is celebrating ten years in the music business promoting its artists' music projects to media and radio worldwide. In 2017 the company worked over 40 projects including the new album and autobiography of Nola Blue's recording artist, Benny Turner. Nola Blue will be announcing new artists to their label beginning this spring. Sallie Bengtson has a degree in Business Administration and Management from Albright College, and more than twenty years of business experience in various administrative, management and ownership roles. She holds a Hootsuite Social Marketing Certification. She formed Nola Blue in 2012. Betsie Brown has nearly two decades of experience in music marketing, formerly as a partner in Crows Feet Productions. Based in Memphis since late 2002, Betsie formed Blind Raccoon in January 2008, and their client list, past and present, covers the gamut of blues/roots artists including Buddy Guy, Hubert Sumlin, David "Honeyboy" Edwards, Pinetop Perkins, Charlie Musselwhite, The Bacon Brothers, Micki Free, Gary Clark Jr., Mickey Thomas, Paul Thorn, and Cyndi Lauper. She is a former Vice-President and Board Member of The Blues Foundation, 2007-10, and a member of the Recording Academy's Memphis Chapter Board of Governors in 2006, 2007-9 and 2010-12. "With the changes we have seen in the music industry, one cannot stand still in this business," says Betsie Brown. "One must seek ways to grow, be innovative and creative, while providing consistent service and results. So, it is a joy to work alongside a woman after my own heart, when it comes to work ethic, commitment, and love of the music." "I first worked with Betsie on a project at the end of 2015 and it didn't take long for me to recognize her unwavering dedication and professionalism," states Sallie Bengtson. "She is truly a kindred spirit and valued mentor, and I couldn't be more pleased about this partnership." 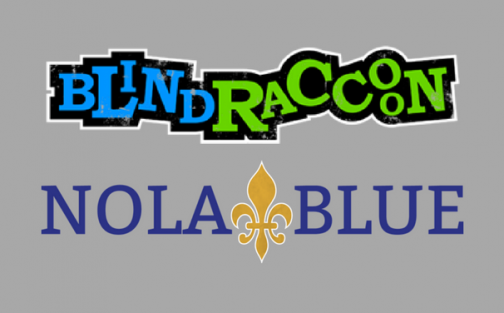 For more information about both companies, visit www.blindraccoon.com and www.nola-blue.com.